Running late? Call a cab and get whisked away to your destination in comfort and style! Founded in 1943, Hreyfill is one of Iceland's most respected taxi services. Besides providing comfort and convenient transportation around Reykjavik, Hreyfill also offers personalized guided tours for groups of up to eight people. 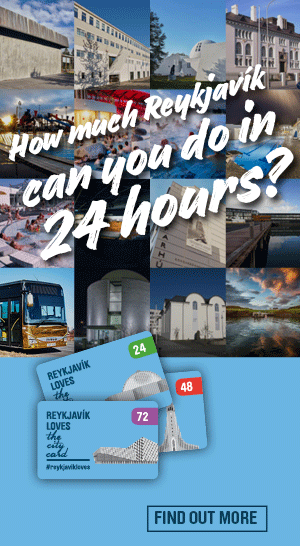 Tours include stops to and from the International Airport and sites throughout Iceland including Blue Lagoon, various gardens, thermal baths, hot springs, and areas along the southern coast. BSR was founded in 1921 and is one of the oldest companies in Reykjavik. We have 90 years of experience getting you from A to B. BSR has always had the goal of offering excellent service to our clients. We also offer various personalized guided tours around Reykjavik for up to 8 people. Airport Taxi specialises in personalized guided shorter tours for small groups of 1-8 persons. Our aim is that participants enjoy as much of Iceland´s unique landscape and scenery as possible and therefor our routes are carefully selected. We offer flexibility in time and destination and customized tours based on client wishes at short notice. Airport Taxi sets high standards for its employees and vehicles, the aim being to provide clients with the best, most efficient service possible.